The Grandi carpet groom is the industry standard in carpet grooming. This versatile carpet groom is great for loosening embedded dirt before you re-vacuum, agitating pre-spray into traffic lanes as well as for final grooming after applying carpet protectors to insure even coverage. Also, use for final finishing after cleaning to leave a beautiful footprint and tool mark free carpet to really impress your customers. This carpet groom is used by more professional carpet cleaners than any other to thoroughly scrub cleaning solution into carpet, loosen embedded soil, remove pet hair, revive matted carpet and even install artificial turf. 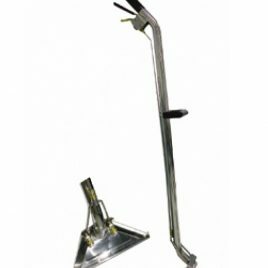 Carpet grooming is sometimes called carpet raking. While that term might not sound very professional, and typically refers to leaves and fall weather rather than carpets, in many ways it describes the actual process more accurately than grooming. The Carpet Rake is dragged over the carpet to pull up its pile or nap. This process helps to loosen soils and keeps the yarn of the carpet lifted. 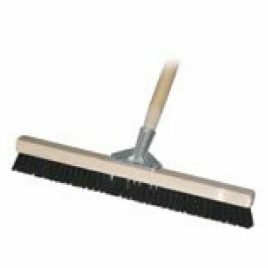 After Carpets are shampooed, using a carpet rake can help decrease drying time. It also untangles any yarn and helps eliminate or minimize the appearance of matting or crushing that can occur in busy walkways. Further, if a carpet protector is applied to the carpet to prevent staining, grooming the carpet helps to ensure that the product is applied more evenly to the carpet fibers. WHY SHOULD YOU USE A GRANDI CARPET GROOM? Please note that due to the length of this item, it is classed it as oversized freight, therefore a higher shipping rate will apply. I looked all over for ways to keep my new carpets looking fresh over time. 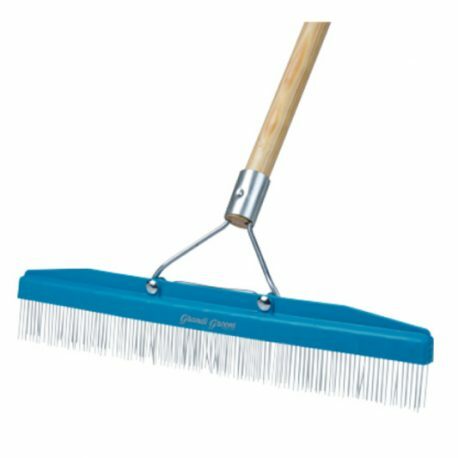 I found this “carpet rake” on the internet, recommended highly by professional carpet cleaners, but it’s a USA product and hard to find in the UK. The folks at Alltec however are suppliers but even they were out of stock. Rather than buy a cheaper alternative I waited until Alltec had availability. I gave my now 18 month old long-pile carpets a light shampoo and used the Grandi Groom to finish. This tool combs and lifts the pile and reinstates that soft new feel without dragging or pulling out fibres. I’m going to use it regularly after vacuuming in future. I’m so glad I waited for Alltec to restock and a big thanks to Michelle for her excellent after sales service. Delivery within promised time frame,well made sturdy ,works well on our shagpile carpets,very pleased with purchase. 4stars due to expensive p&p. The best option for grooming smooth plush carpet. 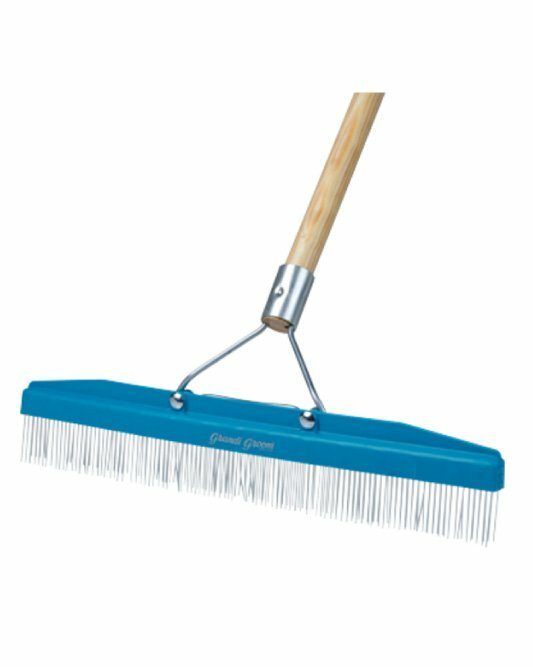 This brush will set the nap after cleaning and may also be used to agitate traffic areas on commercial-type carpets. 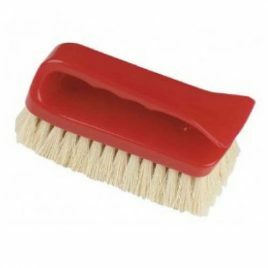 Tampico brush for professional use for agitation of shampoos and Fabric Pre-Wash to upholstery fabrics. 9cm (3.5") stainless steel hand tool. 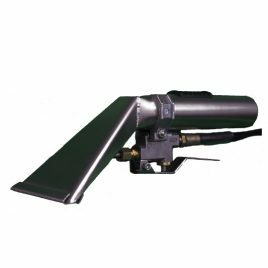 Choose from External spray jet ideal robust tool for cleaning stairs, edging of carpets and other tight areas or Internal spray jet with integral vacuum relief valve making it ideal for upholstery cleaning without overspray or over wetting.